This weekend, my family and I went to a pumpkin patch. Everyone else had the same idea. The line stretched out of the pumpkin patch gates and through the parking lot. We waited in line for ten minutes and then balked. When we left, about 90% of those that were leaving did not have pumpkins. We arrived in the morning on Sunday. It was only going to get busier. I cannot imagine the amount of revenue that was lost. We found out later that it took nearly two hours to get through the line. During our short wait and on our drive to another orchard, we discussed queuing and pumpkin patches. 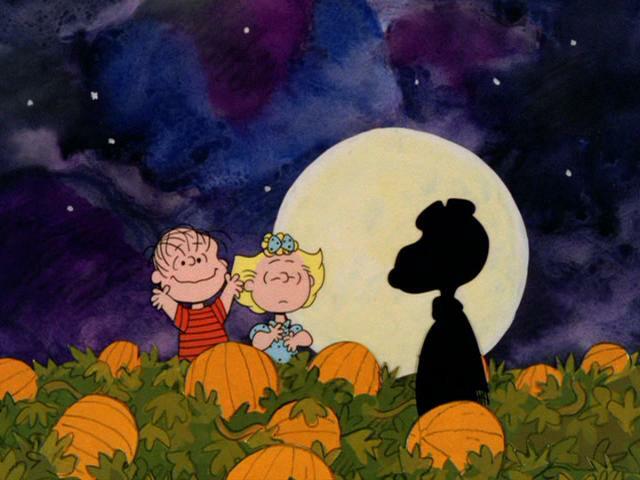 First, the pumpkin patch could make money by moving the long line inside of the gates. Quite a few people left only because they could see how long the line was from their cars as they drove in. If they committed to at least getting out of their cars, they might have stayed long enough to buy pumpkins. Queuing in the parking lot was also a safety issue–nearly everyone in line had small children. The long line was caused by the wait for the hayrides to the pumpkin fields. We couldn’t see the pumpkin fields from the front of the line. It is a long walk, which is hard with small children and large pumpkins. The only bottleneck was for the hayrides. The traffic outside of the pumpkin patch was not too congested and the parking lot was not nearly full. The pumpkin patch hired people to make sure there was no gridlock in the parking lot (there wasn’t), but overlooked the bottleneck for the hayrides. There was plenty to do at the pumpkin patch aside from picking pumpkins. There was a store, haunted house, and a restaurant. If people had been given tickets for a scheduled FCFS hayride (with a time of when the hayride would be leaving), they could spend money while they waited for their turn. Waiting two hours for a pumpkin isn’t so bad if you are enjoying donuts and cider. The queue leveled off and seemed to reach steady state. The rate out only equaled the rate in because so many balked at the long line. For those of you who study queues, is this typical? Picking pumpkins should be modeled as an infinite server queue, and in practice, this assumption should be a good approximation. (An infinite server queue can model self-service). Maybe this could happen if pumpkins are planted closer to the entrance, so some people could bypass the hayrides and walk instead. This should be somewhat achievable: when we pick apples, many more people can pick at the same time. There are real constraints that would ultimately limit the pumpkin patch throughput, even if they had a continuous stream of tractors to and from the pumpkin fields. This can be contrasted with, say, an amusement park or stadium, where a large number of people can be served in a short amount of time (even stadiums have their limits). The country road that leads up to the pumpkin patch is a two lane highway. It can only accommodate so many cars per unit of time. Having someone direct traffic on busy weekends could help if it gets bad (the apple orchard we went to does this). The parking lot was on grass. People drive slow and awkwardly on grass. The pumpkin patch isn’t profitable enough to warrant paving a huge lot to improve throughput. Amusement parks have many lanes so people can park in a short amount of time. That wouldn’t work in agricultural settings. Some congestion in the parking lot seems inevitable. Ultimately, there is a choke point at these types of orchards, where everyone goes through some central area to pay. Even with many makeshift registers set up outside the barn, paying for pumpkins would get pretty chaotic if it got too busy, even if the registers are well-staged. The places I have seen that efficiently coordinate a huge number of cash registers are well-designed and inside. So now that I figured out how to efficiently run a pumpkin patch, should I open my own? This entry was posted on Tuesday, October 11th, 2011 at 8:46 am	and tagged with queuing, Transportation and posted in Uncategorized. You can follow any responses to this entry through the RSS 2.0 feed. Great analysis! Seems like a queue like that would even out with balking unless there were more incentive for people to wait. There’s probably a social element with balking, i.e. if you see other people leaving, you’re probably more likely to leave. “… should I open my own?” That depends: are you gourd at growing pumpkins? Paul (@prubin73/@parubin) I am not particularly good at growing anything in the squash family. My garden (at least the pumpkin, zucchini and squash plants) have been infested by squash bugs every year I have worked on my vegetable garden. A suburbanite and amateur gardener grew the largest pumpkin in the state of Virginia this year in his backyard. The pumpkin topped 1000 pounds. I am motivated to learn how to squash the squash bugs. Tips are welcome. Yes, it is typical in academic. Almost every queue you can find in literature will be stable systems (steady state). If a queueing system is not stable, it need not to be analyzed. BTW I don’t study queueing but my advisor contributed a lot on the subject. Thanks, @ksphil! I thought so. Every queue that I have seen eventually levels off and reaches steady state. I should pay attention better. @Mary, we first went to the Ashland Berry Farm. We eventually bought pumpkins from another farm that is a well kept secret. It had no line. I even got some discounted “day old” eggplant and mums there. I agree about the hayride being the bottleneck. At the pumpkin patch we go to (in PA), I have noticed that there is almost never a significant queue anywhere, even when the place is packed, and I have always attributed it to the fact that they have enough tractors so that there is almost always a new one arriving just as the previous one is leaving. A couple of thoughts; obviously this was a serial queueing system, and so one of the queues will be the bottleneck, unless the capacity of ALL the servers exceeds the arrival rate. What has happened here is typical — one of the queues has a service rate much less than the arrival rate. And there are queues which merit attention even if they do not reach steady state. The classic is the queue for restrooms at a theatre (sorry, restrooms is American English, theatre is English English!). There the servers need to cope with a rush of demand. The solution (plenty of space) is expensive, but desirable. Other examples, also of restrooms, are those in the arrivals section of an airport (passengers stop at the first available one), and restrooms on ferries. We were involved with the problem of a new car ferry in the UK which had been specified on the basis of it being a boat with a certain maximum number of passengers. That ignored human behaviour; motorists were stopped, so wanted to use a restroom while it was available; therefore demand was very much higher than foreseen. David, I like your comments about the restrooms. I wrote about that issue once. I only wrote about getting the right number of restrooms, but looking at the marginal cost of adding a restroom as well as the queuing aspects that you mention are likewise important. Thanks for bringing up these points. In re “should I open my own”, probably not. There is something non-trivial about the notion of core competence. But it does strike me that Disney, which addresses similar queuing issues quite well, could profitably go into the pumpkin patch business, as a seasonal revenue booster. Perhaps on a franchise model. Laura, your experience at the pumpkin patch is one that many O.R. people have encountered; they see a system, they experience a system, and they know that there is a flaw in the way that decisions are taken about that system. But they also know that the people running it have probably never heard of O.R. and their enterprise is too small for them to ever hire anyone to do O.R. anyway, and if you offered to help they would suspect your motives. Years ago, there was a British film “The Loneliness of the Long Distance Runner”; we share “The Frustration of the Imaginative O.R. Scientist”. Maybe there is someone reading this blog who could set a class assignment in the next few days. 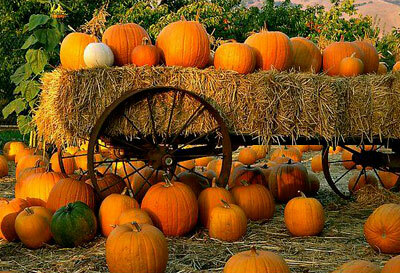 (1) Go to the local pumpkin patch (preferably one with congestion). (2) Measure (ball-park figures) the arrival rate (with families, it is a batch process). (4) Identify scope for changes; what parameters are fixed, what could be changed. (6) Call the local newspaper reporter and present the class assignment and get some publicity for the students. Then call the manager of the system! @David, that is a great idea. I am already putting some ideas together for my stoch class next semester. @Sanjay, you are right of course. I’ll keep my day job. (-: Your point about Disney is spot on, too. Efficient queues can help mitigate a lot of other problems.